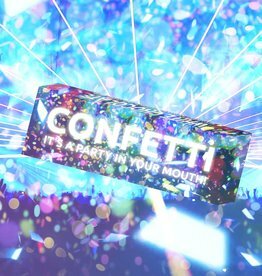 Check out the Confetti Bar! It's a party in your mouth! It's a 1/4lb of white chocolate bar with confetti, pop rocks, Fruity Pebbles and caramel cream.